You can never have enough space in your wardrobe and our shoes can take up more than their fair share. 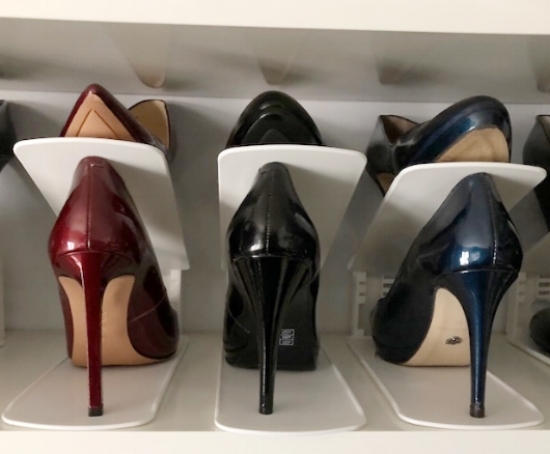 With the help of a nifty little product called the Shoe Holder, I've finally got around to recalibrating how I store my shoes. I brought packs of 6 from Howard's Storage World, but I've seen them advertised online at various places. This little device is easy to assemble and can be adjusted to accomodate the heal height. 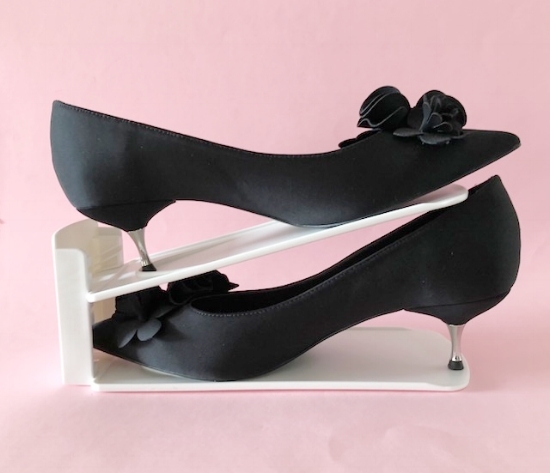 I've literally doubled the number of shoes I can hold on my shelves. Hmmm....which mean there's room for a few more pairs. What a cheery thought!